After knitting the first one scarves, kapa and other simpler subject every wandering woman wished to drop stockings. And that seems like an impossible mission. 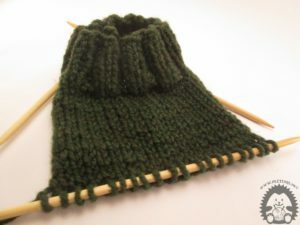 First you have to catch up with a set of five needles that does not look a bit simple, but after mastering and this first obstacle on the line comes the making of the heel on the stocking. 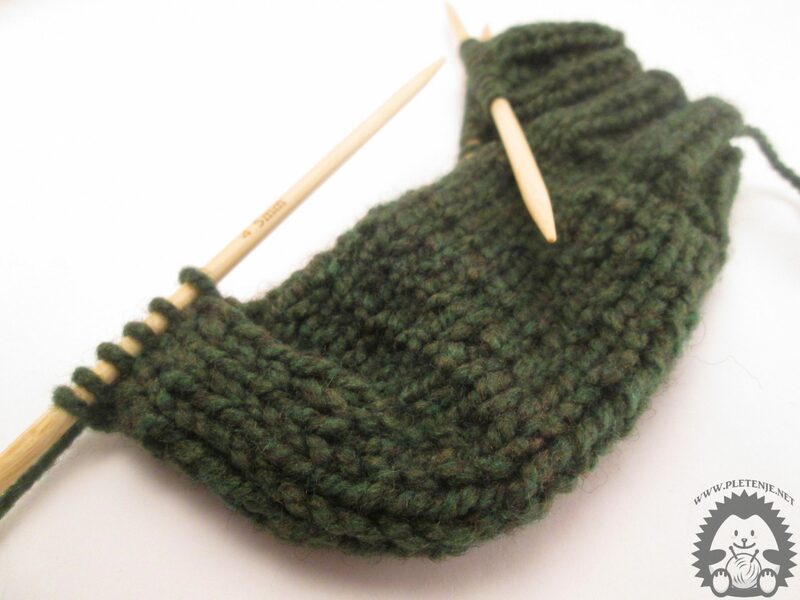 When knitting socks the most complex part is the formation and forming of the heel. There is a bit of skill for that part. Follow our instructions and this most complex part will not be a problem. 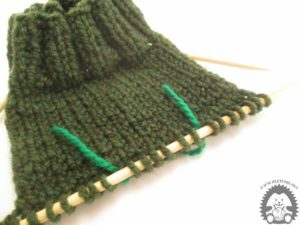 For the width of the heel, take one-third of your eyebrows and knit one row right, one wrong (in that part no longer knit the circle). For the heel height knit 18-20 depending on the size and width of the foot for which you are making socks. 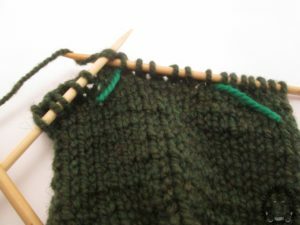 After you fill the required number of rows, the hardest part begins, which is the formation of the heel. Share the eyelids in three approximately equal parts. It is important that you have the same number of eyes on both edges. In my case, I divided the 7-6-7 snap. Pinch right until you reach the third eye group (ie the other strip you took for marking). In this example, the 13 snap is right. Then tap the next two eyes together right. IMPORTANT: do not pinch any further, you will be left untried eyes (in my example five) than turn your work, shift your first eye as wrong and continue to grab the wrong point until you reach the marked part. Then twist the two eyes together wrong. Again, you have unresolved eyes. Turn the work, move the first eyebrow right, the other knit right. You will notice a small gap between the cuddled eyes and the unmarried ones. You'll get together the last worn out and the first unclear look. Turn the work over and repeat the process but blame it. Repeat until all eyes are tapped. In this example, only the shape of the heel that creates the most problems is explained. To make the whole socks look in making items how to knit socks. For a better understanding, see other video tutorials on our site Youtube channel or watch the video here How does the heel of the soap knit?.